you’ll find it on the inside of ours. For over 50 years, the craftsmen at Van Dolder’s Custom Exteriors have helped homeowners update and improve their living space. From custom window, door and siding design to expert installation, the Home Team® strives to exceed expectations. Visit our village-style showrooms to see how we can help with your home improvement ideas. Van Dolder’s provides the friendly and personal service you expect from a family-owned business, but with a huge selection of products and suppliers that rivals bigger box stores. Our sales team is always here to answer questions and guide you in finding the right product for your style, budget and needs. We have sales representatives located all over Grey-Bruce and Simcoe counties, so in-home visits can be scheduled at a time that’s convenient for you. 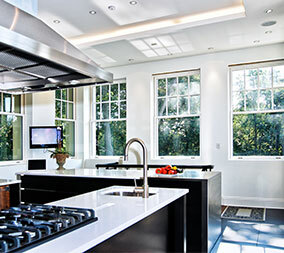 Our Home Team® installers are experts at what they install and focus on the details of their individual craft. We offer no-pressure financing so you don’t have to sacrifice quality. 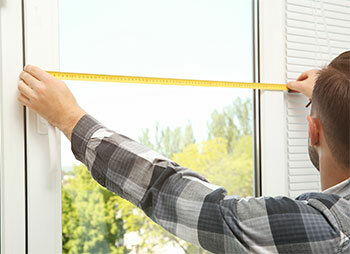 Our free in-home consultations allow for accurate measurements and a personalized service. We offer a 5-year, no-cost, installation and service warranty. 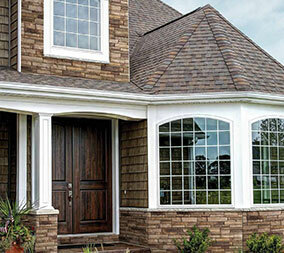 Van Dolder’s Custom Exteriors carries a huge range of products to upgrade the look and functionality of your home. 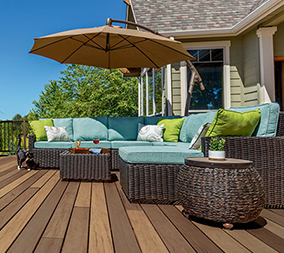 Roll over elements on the house image to learn more about products we carry or click the button below to see all our products. If you’re looking for something you don’t find on our website, give us a call! We have an expansive network of top-brand suppliers that can often design and manufacture custom products, like curved windows, wide patio doors, and more. When you contact us for a home renovation project, we’ll send one of our expert sales representatives to you for a free in-home consultation where they’ll measure, collect details and provide suggestions. We’ll email or deliver a quote to you based on the details collected at the consultation. You have time now to review the quote, make changes or ask any questions you may have. Once you have approved the quote, we’ll collect a deposit and place product orders with our suppliers. Our staff take great care to ensure orders are reviewed for accuracy at each stage of this process. When all the products for your project have arrived, we’ll schedule a suitable time for our installers to begin work. Our aim is to always leave your home better than we found it. We have dealt with Van Dolder’s several times in the past and wanted to send you a quick note to extend our appreciation for the excellent service we have received recently from Jason Acres. Jason took the time to answer our questions when we first came in and he provided us with the valuable information we needed to make an informed decision. He did this all with no pressure tactics which gave us the time to consider our own needs. When we returned, he was once again very helpful and we were able to make our purchase with the confidence of making the right choice. Jason has always been courteous and respectful while injecting some fun into the purchase process. We look forward to our new door being installed in a couple of months; no doubt it will be beautiful. We will continue to deal with Van Dolder’s as it has been a pleasure working with your staff and in particular, this time, with Jason. Thank you and Jason for your excellent service. Just want you to know that Jordan and Gavin were very professional and did a great job on my window. They cleaned up which was amazing and were very polite. Thank you for a great experience. We wanted to thank you. The house looks DYNAMITE! We are sooo pleased with the outcome. The team for the windows and siding were great! Very professional, knowledgable and friendly. Great team! I’m absolutely thrilled with the entire experience from meeting and discussing the windows with you, to meeting your installers, to the finished product! You were so bang on with the ‘grill’ design, I’m so so happy!!! I cannot express it enough. Your installers left the place so clean and were wonderful, and spoke well about working for this company and how Kris treats everyone like family. Thank you so much once again, you ALL ROCK!!!! I look forward to continued business with you. I wanted to let you know what a positive experience it has been for us to have our new windows installed. We had Mitch and Jason to do the installation. They worked so very well together and also worked very hard to get it done. They answered all of our questions and went above and beyond our expectations by removing all our blinds and putting them back up as well. If we ever need anything else done I will definitely call Van Dolder’s. YOU ARE THE BEST! I would like to thank you and your business for providing such professional service, starting with your representative, Jason Acres. I was out of town the day of installation and I was a little worried because I knew it was not a straight forward job. There was a lot of trim and drywall issues to deal with. When I came home later that day I was blown away by the professional job your installers had done. The windows looked great and the house was clean, tidy, all the mess cleaned up and hauled away with the old windows. Thank you. I am writing to tell you how pleased my husband and I are with the four new windows that were installed. The windows look fantastic and provide more air flow than the old ones. More importantly, I want to tell you about the excellent quality of care, workmanship and personal interaction that I had with Tim and Mika while they were here. Windows are windows, but the installers make the whole event either positive or negative. This morning we had a gentleman by the name of ‘Tony’ who came to look at our windows. Could you please convey to the owners of Van Dolders the excellence of this gentleman. He was very exact in his surveillance of the work that needs doing here. A very professional man that is an absolute credit to the company. I had some new windows installed in my home near Meaford. I was so impressed by the excellent treatment I received and high professional standards of your team. Not only do the new windows look terrific but they are thermally more efficient, no doubt the careful detail with the insulation plays a part in this. I congratulate you on the wonderful attitude of the team and the obvious pride they take in doing excellent work. I plan to have more windows installed in the future and would not consider using anyone other than the Home Team. Just a note to say thank you for your help in completing our windows project. You were very helpful, professional, and resourceful in guiding us through the decision-making process in this big change to our house. The three larger windows are amazing, giving us great views of the property. We appreciated your expertise and attention to detail. I would highly recommend you and the Van Dolder’s Team to anyone that is looking for excellence in their own project. We were truly happy with what we had picked out in the showroom. 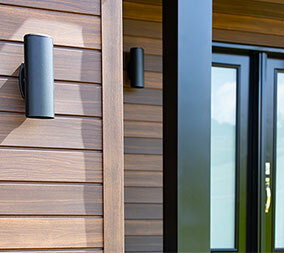 When we saw it installed on the house it demonstrated to us that we not only picked the right product but the right place to purchase our long-term investment. Your installers were professional, conscientious, and courteous. They took care of my home and belongings while I was away on business and did an excellent job — the new windows look great with very nicely repainted trim. The lads were kind enough to switch off the furnace while the large windows were removed so that the heat didn’t go out the window — literally — and take my hard-earned money with it.